UFC light heavyweight champion Daniel Cormier who successfully defending his title in the co-main event of UFC 220 beat Volkan Oezdemir via TKO stoppage in the second round. Cormier was restored as champion this past summer when his TKO loss to Jon Bones Jones at UFC 214 was overturned following ‘Jones’ post-fight drug test came positive. Despite Cormier is slated to move up to the heavyweight division to challenge champ Stipe Miocic in the UFC 226 main event on July 7 in Las Vegas. 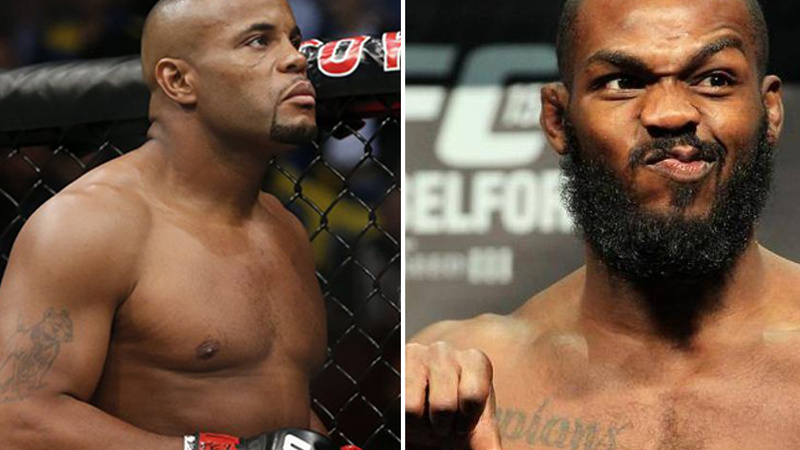 Cormier has a chance to hold titles in two weight classes simultaneously if he beat Miocic. There’s also a rumor floating that the winner of that fight will face Brock Lesnar in his expected return to the octagon. “DC” did previously announce that he does not plan on further extending his career past the age of 40, which happens on March 20th of the coming year. With that in mind, he plans to keep himself as active as possible, as he angles for a possible fight against Brock Lesnar. ‘DC’ feels he still have unfinished business with former champ Jon Jones and would want to share the Octagon one more time before he retires. He believes the result of this fight would have different outcomes this time. Former champ Jon Jones had a disciplinary hearing earlier this year, the result was a revocation of his fight license and a monetary fine of $205,000. He still has to present a compelling case to USADA as well. Cormier says, if he beat Miocic to become a simultaneous two-division champion, he still would want to defend UFC 205 championship and if all goes well no doubt he would want to lock horns with Jones for the third time. However, Jones facing legal troubles, if all goes well, do you think Jon Jones and Daniel Cormier should share Octagon for the third time?